Strash Foot & Ankle Care | Say it With Me: Brachymetatarsia | Wait, What? Say it With Me: Brachymetatarsia | Wait, What? As a foot and ankle surgeon, I’ve learned (and continue to learn) a lot about ankles, feet and toes, and the one thing that seems to stay rather consistent with this area of practice are all of the funny and hard to pronounce names associated with foot and ankle modalities. Take for example, brachymetatarsia. Say that five times fast, right? It would be so much easier if the powers that be long ago just named this condition what it is – a short toe. But, I guess the doctors being doctors thought “short toe” didn’t exactly have a medical ring to it. So, they named it something that sounded official, perhaps even scary, and of course, incredibly hard to pronounce. Any way, what exactly is brachymetatarsia? 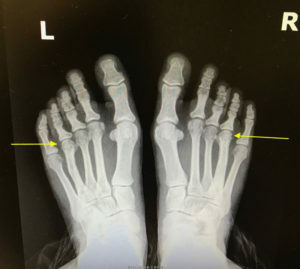 Well, in a nutshell, it’s a mostly hereditary growth disturbance to a bone in the foot creating a short toe. It also occurs more in women than men. 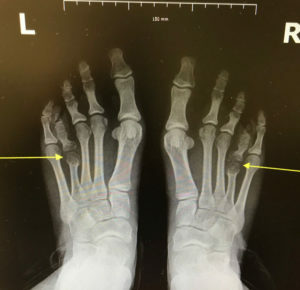 While the toe itself is usually normal length, the bone that the toe attaches to in the arch is short. And although it can affect any toe, the fourth toe is the most common occurrence of brachymetatarsia. So, you may be thinking, “Big deal? Short toe? How vain! Deal with it!” And what I say back to that is, eh, don’t judge until you’ve walked in their shoes (pun intended) – it can definitely play a part in overall self-esteem – especially in young adults. AND, it can also cause a considerable amount of pain. In fact, I’ve had MANY patients come to me with this condition in tears explaining why they don’t go barefoot or wear sandals or flip-flops because they hate the way their feet look. This, combined with pain, make for a pretty miserable existence – especially in San Antonio summer months. The good news is, it’s pretty easy to fix. Although it requires surgery, it’s outpatient and recovery time, in general, is about 6-8 weeks. The even more good news is, I LOVE correcting this condition – it’s really rewarding to see someone’s self-confidence return AND pain eliminated. What Does Brachymetatarsia Surgery Entail? 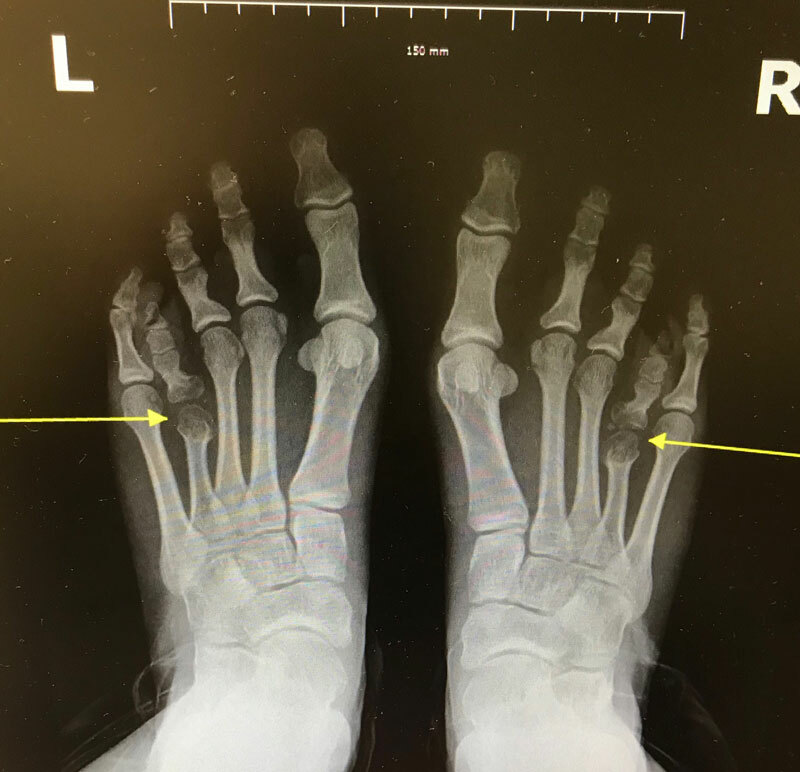 This type of surgery involves lengthening the metatarsal bone with either a bone cut, bone graft, and/or gradual lengthening. I use several different techniques, depending on the severity of the brachymetatarsia. Again, depending on the severity, the surgery is done with either local or general anesthesia. Like I said earlier, generally, recovery time is between 6-8 weeks, but if more extensive surgery was necessary to correct the condition, it can be about three months before total recovery. Bottom line, there’s absolutely NO reason why you should have to live with pain – whether that pain is physical or psychological. If you have made the decision to do something about that condition that hardly anyone can say once, let alone five times, contact my office, today. My staff and I would love to see you.